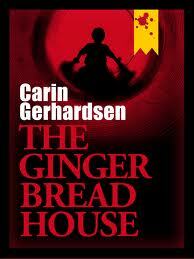 Today I welcome Carin Gerhardsen, author of The Gingerbread House, that releases today. She has written the Hammarby series, crime novels that take place in the southern parts of Stockholm. This is the first in Gerhardsen’s series. This novel explores schoolyard bullying among young children and the effect it has on them when people look the other way. 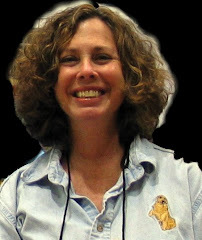 "Known for thrillers with taut, suspenseful plots and unexpected twists and turns, her novels linger in the reader’s mind long after the finish." Swedish digital-first publisher, Stockholm Text, has published 4 popular and prolific Swedish writers. Available in paperback and e- book format, the following four Swedish novels are perfect reading for the summer: The Dead of Summer by Mari Jungstedt, Death of a Carpet Dealer by Karin Wahlberg, Killer's Island by Anna Jansson and The Gingerbread House by Carin Gerhardsen. To win a paperback copy of The Gingerbread House, after you've read Carin's guest post, make a comment about why you'd like to read this novel. Be sure and leave your email address (ex: Jane at yahoo dot com), so I can contact the winner. My name is Carin Gerhardsen, and I am the author of “The Hammarby Series”. I was born in 1962 and grew up in Katrineholm where the first book, The Gingerbread House, takes place. Educationally, I am a mathematician and now live in Stockholm with my husband and our two children. I made my literary debut twenty-years ago with the philosophical novel Escape from Time, but thereafter I abandoned my writing in favor of a career within IT consultancy. But my writing aspirations never left, and I decided to have one final go of it. Since I’ve always loved reading crime novels and on top of that take a great interest in solving problems – mathematical problems, crosswords, Sudoku and all that – I decided to give crime a try. But - very importantly – without giving up my philosophical ambitions and literary quality claims. I asked myself what’s significant for a good crime novel and what ingredients from the point of view of content that applies to me specifically. And then I started writing, and just in case, I wrote three books in order to convince the intended publisher of my productivity. Now I’m working on the sixth novel of the series. Right now the fourth and fifth novels are topping the bestselling charts of Sweden, which makes the hard work a lot easier. Naturally I am very happy about the success. An old dream I’ve nourished since I was a child has been fulfilled. But I blame myself that I didn’t take action before. If I hadn’t been so lazy I could have done it twenty-five years earlier. The three things in all my crime novels that are most important to me are that they are thrilling, credible and captivating. By help of parallel stories and abrupt filmic cuts, I create thrill. By credibility I mean that the story must work all the way to the end. I’m allergic to crime novels that end up in a mess of improbability and emergency solutions. Like multiple personalities and identical twins for example… my starting point is that the same things captivate the reader and me. I am interested in the story of the individual, so I step inside all my characters, no matter whether they are main or minor characters, murderers or victims. Furthermore the best crime novels contain much more than the actual crime, which gives intellectual gratification, and it is also my aim to accomplish that bonus for the reader. I figure that however I create my police team some people will criticize. In order not to be excessively politically correct and remove focus too much from the actual story, I create a credible team with a set of characters that I like to explore. I’m equally interested in the complexity of men and women myself, so to me the gender of a specific character is of less importance. I hope that goes for my readers as well, as long as the character in question is a human being of interest. I was bored with the stigmatized crime novel inspector. I wanted my inspector to be like most people in my surroundings: nice, friendly and a good honest person without any drinking problems. All that without being a superhero of course, which I obviously find not so realistic. Same thing with the rest of the team. I prefer not to exaggerate their characteristics, which would misdirect the focus. The Gingerbread House is a crime novel about evil and the consequences of a horrible childhood. About how disrespect from the people around you will ruin your self-confidence and your hopes for the future. As a child I was subjected to bullying and harassment, so the plot of The Gingerbread House came easy to me. Many of the scenes in the book are my own experiences. I wanted to explore how different people react differently in times of misfortune, how bad childhood experiences could form a human being. The Gingerbread House is a novel about how we all should take responsibility for the well-being of the people around us. Finally I’d like to say that I’m very grateful that you are interested in my writing and me! I sincerely hope that you will enjoy my novels and love my characters. Keep on reading! I love this Scandinavian Noir trend. It's given me a yearning to travel to a part of the world I hadn't considered -- until the novels of a certain Swedish author took off. Since then, I've read books set in Norway and Finland as well. This seems to be a genre that keeps on giving. I do think we need some good books that help us understand and combat the childhood bullying problem. This sounds like a smart, nuanced book with plenty of page-turning suspense. This sounds like a really good book. I like the idea of a pleasant, well-adjusted policeman – I find the angst and drinking gets boring. If you hadn't lived those years inbetween writing the first book and writing now, you would not have had the life experience to write as you do. Do not bemoan that as time wasted. I will keep my eye out for your book. I've been a fan of Scandinavian crime fiction since Sjowall and Wahloo. This looks like a good series; I look forward to reading it. For the last few years I am a great fan of Scandinavian authors. I is a happy event for me to discover a new author which i did not know. After reading Carin Gerhardsen comments on what are the main issues of her writing, about her characters and the plot I am very intrigued to read her books as these are the things that I am looking for in a book. Reading that Carin Gerhardsen is a philosopher and mathematician can give me guarantee that I'll find logic in her book contrary to many other "thrillers" which are available. Hi Carin, I am halfway through The Gingerbread House,and am having a hard time putting it down. I, too, was teased (some might say bullied) in sixth grade. Fortunately I had a very wise teacher who told me that if my classmates didn't care about me they wouldn't do the things they were doing. Fighting back and getting belligerent was not the answer. Smiling and taking the insults as teasing worked wonders. The tormentors no longer got satisfaction and many became good friends. I did not (at that time) realize that being ignored would probably have been worse. I learned from my teacher's wise counsel and have had a great life being in positions (including wife, mother, president of a volunteer organization and mayor of a small town) where I learned to take many things with "a grain of salt". You also after what you said about bullying as a child have also gone far beyond what those who bullied you would have expected. I have much admiration for you.